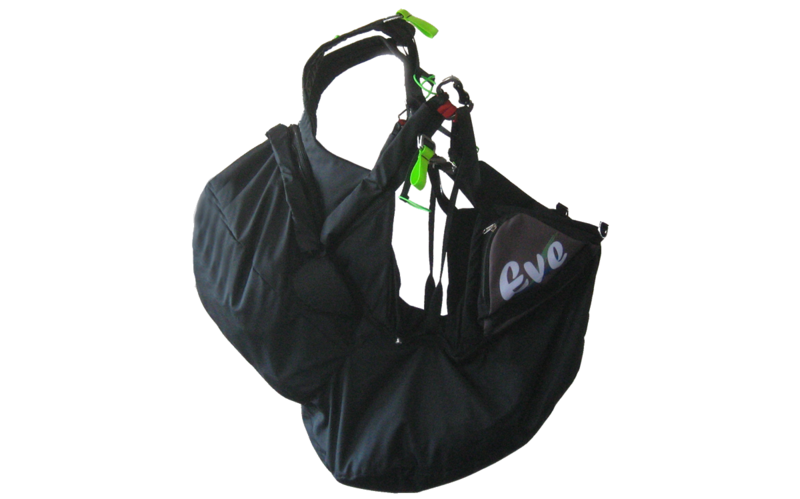 This version of Eve harness will surely attract the attention of vol-bivouac fans. 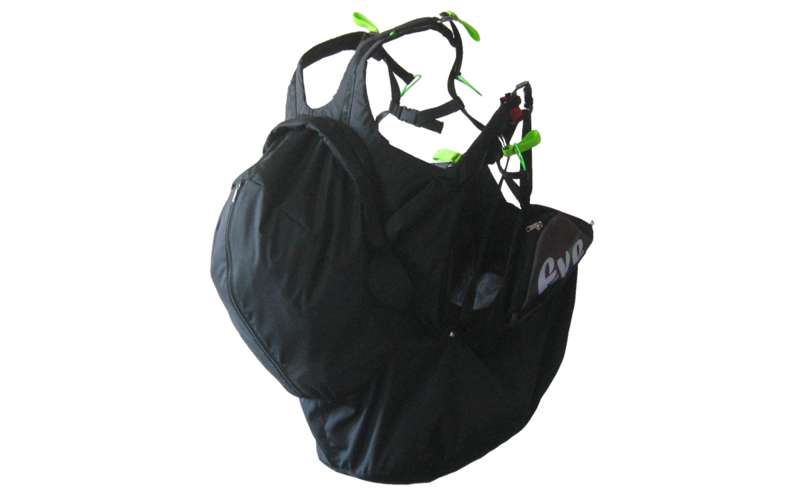 It´s light and compact (easy-to-store) with big storage compartment in the back rucksack. 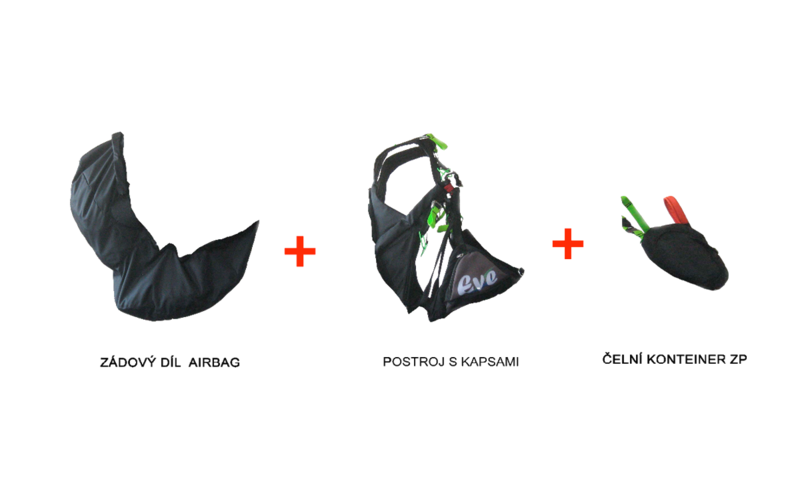 Also the airbag can be used to carry e.g. sleeping bag, clothes or a tent that can be put inside through the air intake. 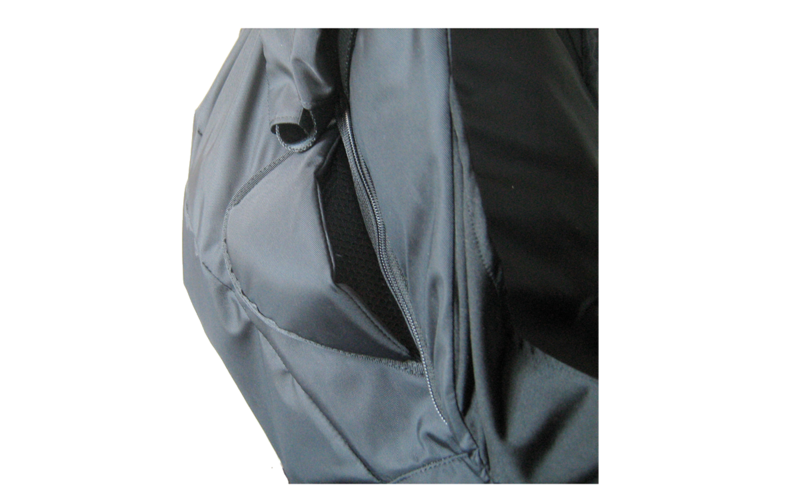 The airbag is inflated by the incoming air during the flight. It is partially inflated before the takeoff thanks to the reinforced base (bottom). 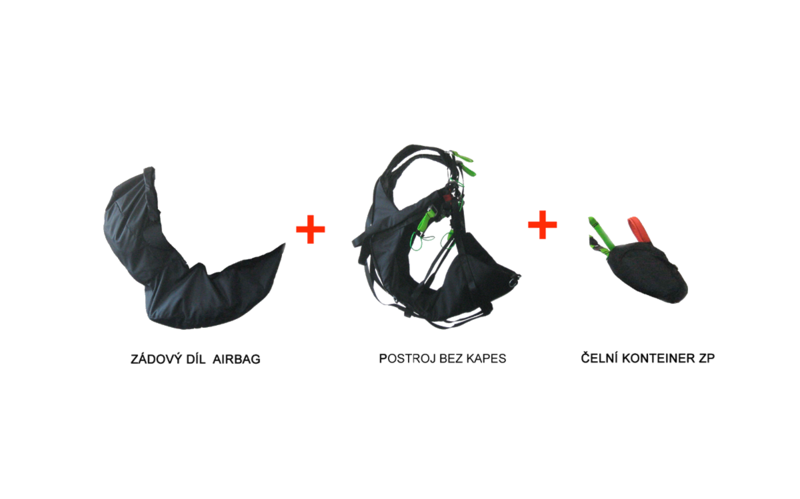 The airbag can be removed from the harness and replaced by the standard equipment with foam protector. 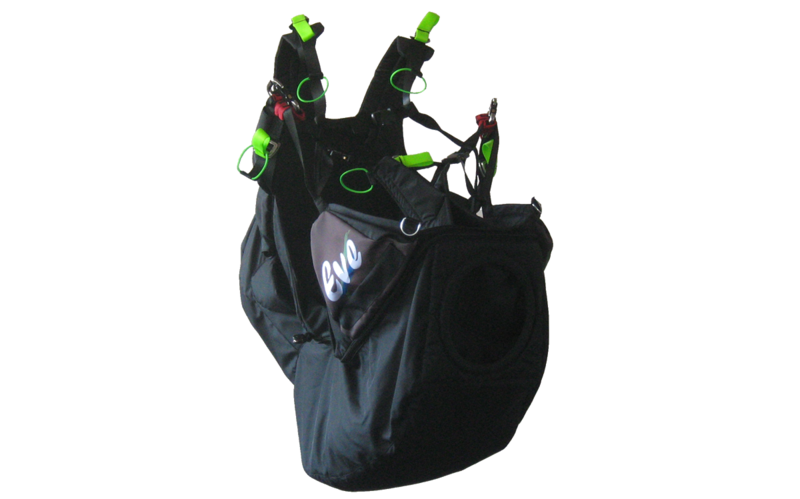 This harness is not equiped with integrated reserve parachute and it is necessary to use the front container. Weight: 1,85 kg w/out carabiners. Material: nylon 160g/m2 + 230g/m2.